Sometimes you just need to feel the weight of a rock beneath your feet, the chill of a river’s rush lapping at your toes and the calming peace of being completely alone. It’s in those moments that you truly find yourself, ground yourself. The minute details that cloud your mind daily start to fade, and you realize that life really is just about putting one foot in front of the other, regardless of what obstructs your path. Last week was not a good week for me – my company closed its doors, leaving myself and 60 of my colleagues and friends out of jobs. It was heartbreaking, saying goodbye to the magazine I’ve loved and cared for over the past two and a half years. The truth is, my job had become my identity – and from it, I reaped my sense of worth. I came to respect myself and know myself as the associate editor of Clean Eating Magazine, rather than the person I’ve been all along. So last week, when for the first time in – well, forever – that I woke up without a plan, a schedule of events or miles-long to-do list, I was lost. I floundered, cleaned the heck out of my apartment and spent a lot of quality time catching up on my Facebook feed. I got angry and sad and frustrated. I cried and ate far too many granola bars. I mourned. But this week is about letting go. I’m spending time by the river, dipping my toes in the stream. I’m picking strawberries with friends and testing out the recipes I’ve been dreaming of but never had time to actually make. I’m just being with myself, learning about myself and appreciating who I am and all that I have. I’m grateful for my time with Clean Eating – the friends I’ve made, the lessons I’ve learned and the skills I’ve developed. When I moved to Toronto to take this job, my team in many ways became my family, and the doors of Robert Kennedy Publishing became a sanctuary from the homesickness and loneliness that accompanied leaving my friends and family behind. And while I’m sad to see this chapter of my life close, I’m finally ready to look forward, to embrace this next challenge and spend a little more time with my toes in the water, learning about myself. 1. In a medium or large skillet, melt butter on medium heat. Add shallot and sauté, stirring often, until beginning to brown. Add wine, broth and vinegar. Bring to a boil, reduce heat to a simmer and cook until liquid reduces by two-thirds, 25 to 30 minutes. 2. Season beef with salt and pepper. In a separate large skillet, heat oil on medium-high. Add beef, leaving at least 1 inch between each medallion, and cook, turning once, until reached desired doneness. Remove from skillet and tent with foil. Let rest for 5 minutes. 3. Season wine mixture with salt and pepper. 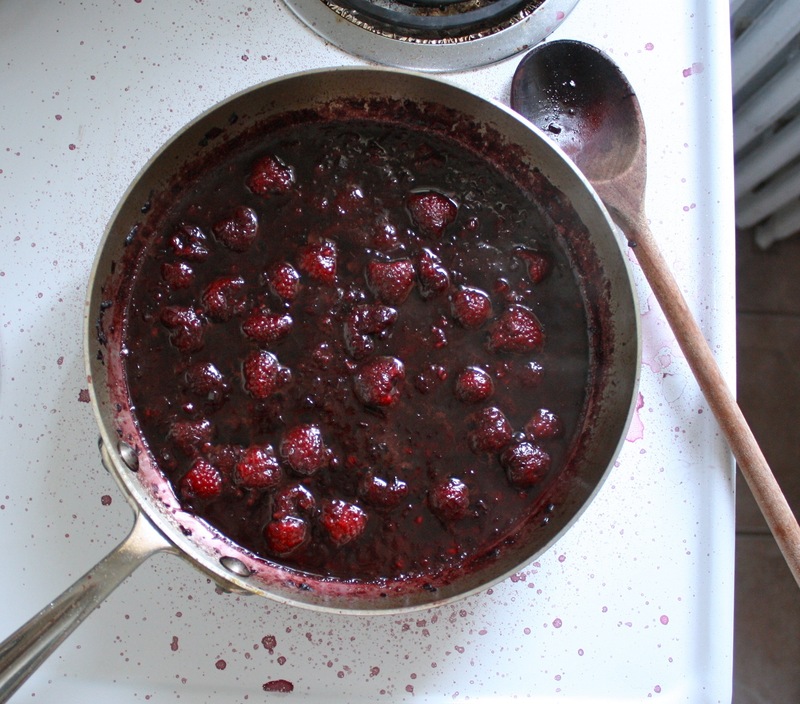 Stir in raspberries and simmer, stirring occasionally, until berries begin to break down. 4. 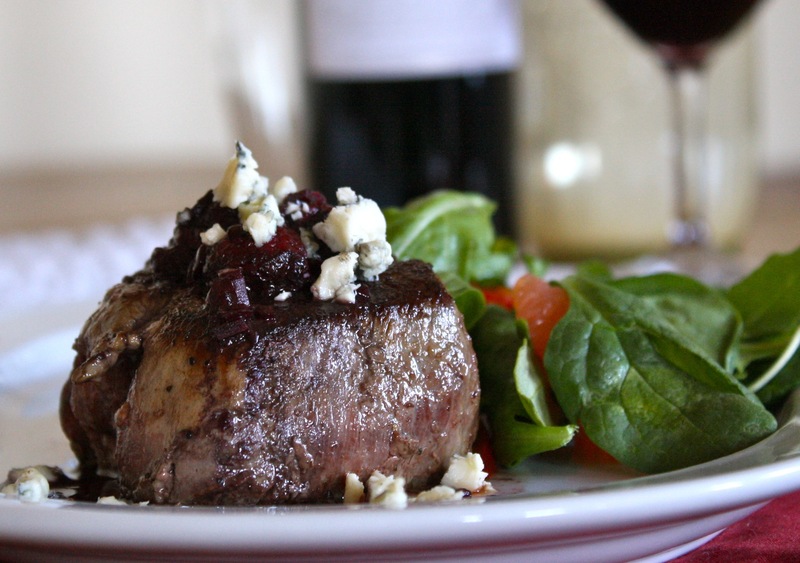 Divide beef among serving plates and top with wine mixture and blue cheese. Reblogged this on Gilean Watts. Good luck Gilean! You’ll do fine! 🙂 Keep blogging! Thanks so much, Marlene. I’m so grateful for my PEI support group. Love, Gilean. Love your positive attitude! It is always sad when a chapter of our lives close, but that just means we can look forward what’s coming next. Your recipes are amazing, and your writing makes the recipes even more enjoyable! There will be something great in your future; you are too good at what you do to have it end now. Keep up that optimism! You’re so sweet Melissa – thank you!